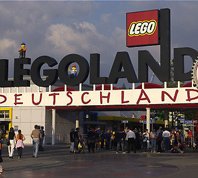 Merlin Entertainment Group is running field trials of a new technology at Legoland near Munich in Germany. This new gadget is a novel, a low-radiation, tracking device designed by Israeli company KeepMClose to help parents keep track of their kids at the amusement park. For a more in-depth story about this gadget on the go, read “KeepMClose so your kids won’t get lost” By Karin Kloosterman at Isreal21c.